He has enjoyed a number of very successful 'sell out' one-man exhibitions and has exhibited at various London locations, including the Barbican, the Mall Galleries, the Guildhall and numerous commercial galleries. 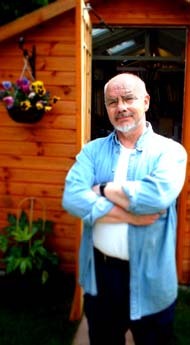 Largely self-taught, he works in most mediums, on almost any subject-matter, notably marine painting and landscape etc. and is the author of the Leisure Arts book 'Painting with Watercolours'. He is a member of various Art Societies, including the London Sketch Club and is also a busy demonstrator for a well-known Art Materials Company and runs regular painting workshops and demonstrations for Art Societies. A practising Art Tutor with experience of teaching both adults and children, his paintings are held in private and corporate collections worldwide.